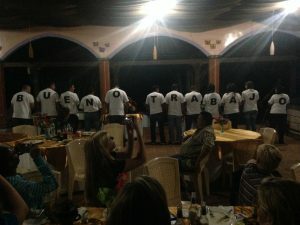 Bueno Trabajo are the familiar words spoken, upon completion of a week of volunteer work in Trojes, by long-time supporter, PWW Board Member and Rotarian, Barry Poppel. Barry was first introduced to PWW in 2007, when a Rotarian friend invited him to support a Water Walk benefiting PWW. Shortly following the walk, Barry, a retired CPA, became more involved and accepted the position as Board of Directors Treasurer. Soon thereafter, he embarked upon his first trip with PWW, going to Honduras to volunteer in the field. He was hooked. 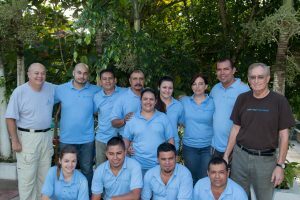 To date, Barry has participated in 18 PWW volunteer trips to Honduras, serving as trip leader for 14 of these. He has worked with over 200 volunteers on these trips. 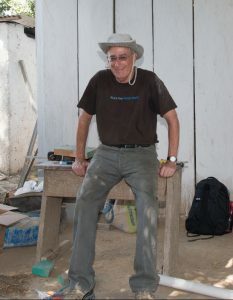 His cumulative work in the field has helped to bring thousands of Hondurans safe water and sanitation solutions. “My favorite part of the volunteer trips is to offer others a meaningful and enjoyable experience,” Barry shares. He is passionate about raising awareness about the need for clean water and the work PWW is doing. And, he is deeply committed to helping the people of Honduras. The entire PWW team extends our heartfelt gratitude and appreciation to Barry, for all he has done, and continues to do, to support safe water and sanitation for all. PWW Travelers PWW Travelers, PWW Trips, PWW Volunteers. permalink.